Join us for our regular series of workshops designed to help you discover new tech and make the most of the tech you already have. 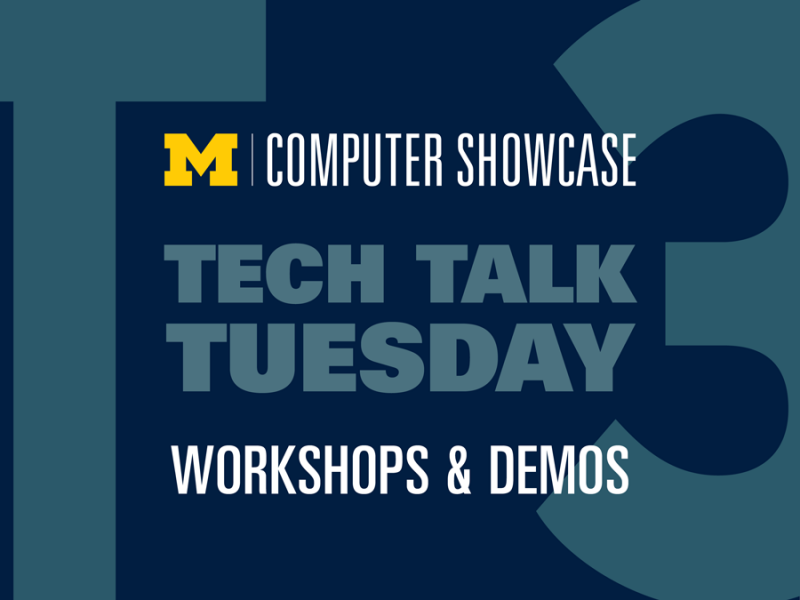 Each week, we have a new demo or tutorial - including Q&A and personal consulting - on hardware, software, apps, and products that might just change your world. 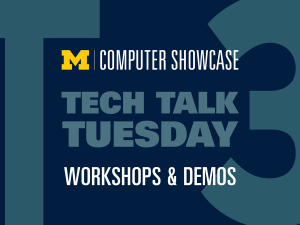 Check out upcoming topics at computershowcase.umich.edu/tech-talks/.